What does culture look like in person? 12 Spots for exclusive one on one with king price insurance, Comair and missing link!!! Amazing networking experience. 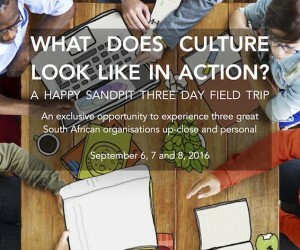 In September 6,7 and 8, Colin Browne Organisational Culture Expert is pioneering something new at Happy Sandpit. 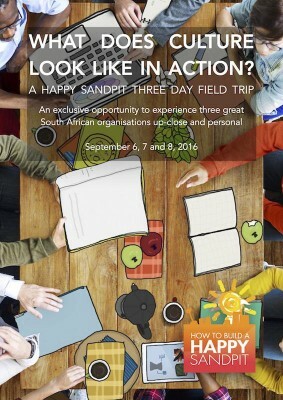 A first of its kind three day field trip to go and witness organisational culture in action. We’ll be visiting three organisations: Comair with CEO Eric Venter, King Price Insurance with CEO Gideon Galloway and Missing Link with CEO Don Packet. All very different companies that have used culture to create high levels of employee engagement, growth, performance and loyalty. It’s a unique opportunity, with only 12 places available. If you have any further queries, please feel free to email me or call on contact details below. Hope to see you at this innovative field trip of different company cultures.